Graham has just gotten out of his latest disastrous relationship. Growing wary of heading out on the dating scene looking for another unbearable situation, he decides it's time to convince an ex-girlfriend named Laura to take him back and try to capture some of the magic that brought them together the first time. It turns out that rekindling this old flame is going to be more difficult than he thought as he encounters a very complex obstacle. He discovers that Laura is dating another man. Even more problematic is the fact that this same man is also dating yet another of Graham's ex-girlfriends. 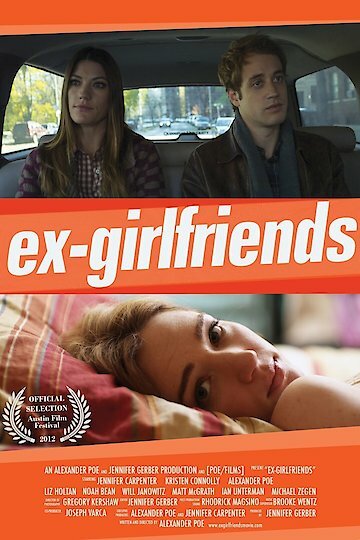 Ex-Girlfriends is currently available to watch and stream, buy on demand at Amazon, Vudu, Google Play, iTunes, YouTube VOD online.